Description: Slim™ Callistemon provides landscape professionals and homeowners with a bottlebrush solution for tight planting areas. A large number of flower buds develop in spring and will open to classic bottlebrush throughout spring, summer and later again in autumn. 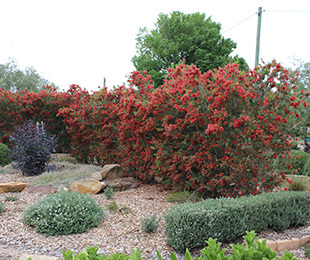 Has been tested down to -6 degrees Celsius with no leaf burn, this is excellent for a Callistemon. Size: 3m high x 1.3m wide. 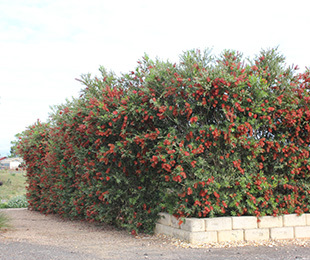 Uses: Screen, hedge or feature for tight planting areas. Position: Full sun to part shade. Suits most soil types. Tolerates drought and frost. Care: Water as required for 8-13 weeks until established. Plant in a well mulched garden (chunky mulch is recommended). If required use slow release fertiliser in spring. If desired prune to shape 1-3 times a year after flowering (this depends on your requirements, more frequent pruning will provide a tidier hedge/shape). 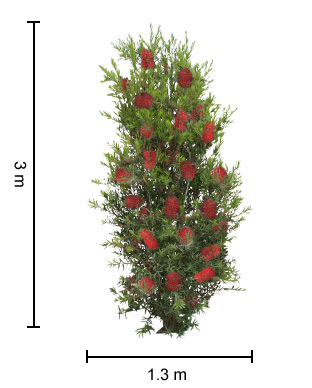 For more detailed information on Slim™ Callistemon click here.